Dr. Bryan Tomlin obtained his doctorate degree in chemistry from Michigan State University, where his dissertation was in the area of nuclear structure studies. After completing his degree, Dr. Tomlin spent five years as a research chemist in the Analytical Chemistry Division at the National Institute for Standards and Technology (NIST), where he focused on the development and application of neutron activation analysis (NAA) for characterizing Standard Reference Materials. He then joined The Dow Chemical Company as a senior R&D chemist in the Analytical Sciences unit, applying NAA in support of varied R&D projects. In 2015, Dr. Tomlin joined the Texas A&M University Center for Chemical Characterization and Analysis as the manager of the Elemental Analysis Laboratory. Q: What kind of elemental analysis do you most commonly do at the Elemental Analysis Laboratory at Texas A&M University? A: Oxygen, by far, is our most common analyte. We also frequently do halogen analyses, as well as analyses of various metals. Q: What key analytical technologies or instrumentation do you use for elemental analysis? A: We use two kinds of neutron activation analysis (NAA), as well as ICP-MS. We have two resources that are not widely available—one is the research reactor at our university, which we use for thermal NAA, and we have two 14 MeV neutron generators that allow us to do a more specialized type of NAA called fast neutron activation analysis (FNAA). That is what we use for oxygen determinations. So those two pieces of equipment in particular allow us to offer the services we do. FNAA is a very nice complement to thermal NAA because there are certain elements like fluorine and nitrogen that aren’t easy or possible to do with thermal NAA, but they can be done quite well using highenergy neutrons from a generator. Q: How many researchers are involved in this work at the Elemental Analysis Lab? How many projects are going on at a given time? A: We have one technician, but we also take advantage of student workers. In a typical semester, we will have one to three students contributing. On average, we have five to 10 projects in the queue per week. Smaller projects can be done within a day, but we do have some larger university-related projects with lots of samples, and those may be completed across a month’s time. Q: What have been the major changes or trends you’ve observed within the field of elemental analysis in recent years? A: Speaking specifically to our lab, the big change that’s occurred over the last 15 years or so is a push toward increasing use of ICP-MS as an analytical technique. We purchased our first one around 2001, and since that time, we’ve seen steady growth of demand for that type of analysis against thermal NAA. That’s been a major change. Part of it is simply due to awareness, because ICP-MS technology is readily available, whereas NAA research reactors aren’t so widely available. The broad acceptance of a technique makes people comfortable. Researchers see that others in their field are publishing with ICP-MS data, so they want to use the same technique. 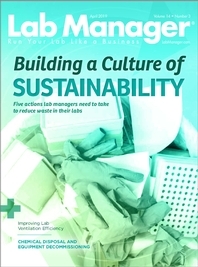 Q: How have those changes affected your lab? A: It shifted the ratio of the work we do. For decades, we did a lot more thermal NAA than FNAA. Now, as ICP-MS has become more available and can be used to do a lot of the same determinations, the ratio of work we do for fast neutron, which can’t be done with ICPMS, has grown significantly. It’s caused a pretty significant shift in our portfolio of projects in that regard. Q: What are some of the advantages of using ICP-MS in elemental analysis? A: Overall, cost is often an advantage for ICP-MS. The most commonly cited drawback to NAA is the high expense, which is largely the result of the regulatory cost of operating a research reactor to provide neutrons. Neutrons as a probe are expensive compared with photons as a probe, for example. A major benefit is the speed of analysis. With NAA, we are often limited by radioactive decay physics. So, if something has a half-life that is very long, you can’t speed that up. If you’re measuring the radioactive decay of cobalt-60 for example, which has a five-year half-life, the measurement time could be longer. With ICP-MS, if you can prepare a solution of it, you can get a result within minutes. Those are two things that have been pushing broader elemental analysis toward ICP-MS. But we continue to offer NAA because it’s capable of doing things that either cannot be done, or cannot be done well, by ICP-MS—particularly nonmetals. I mentioned oxygen, but we also do a lot of analyses of fluorine, chlorine, and bromine, which NAA does really well. NAA also has the advantage of not requiring sample dissolution. We encounter quite a few things that cannot be destroyed or cannot be readily dissolved, so the two technologies really complement each other even though there’s a lot of overlap between the two. Q: What are some of the main challenges you run into when it comes to elemental analysis? A: One important lesson I learned during my time in industry is that there tends to be a bias toward selecting the tool over identifying what the problem is. Often, especially with university customers, people come in and say “I need this technique to measure my samples,” so the challenge for me is to back up and find out what problem they are trying to solve. Very often, what they think they need is not necessarily the best tool for solving the problem, so the challenge is overcoming the mentality of using analytical chemistry in a “cafeteria” or “à la carte” style, meaning “I choose this technique because it’s what I think I should use” versus approaching it from a “I have this problem to solve, let me see what the best tool or technology is for solving this problem.” A big part of my job is listening, understanding what it is they are trying to solve, and then perhaps teaching them about different options they have and why I’m recommending one over another. Q: What advice do you have for lab professionals who are interested in getting into elemental analysis? A: Bulk elemental analysis tends to be a rather “unsexy” line of analytical work, so working in the field, you often won’t be in the “limelight” with exciting research projects. An elemental analysis step may be very early in the discovery process of a project, and will be key, but may not be in the forefront of coverage. So, understanding what you’re doing is important but may not necessarily be the thing that grabs people’s attention. One of the things I’ve learned is that science can be competitive, and there are a lot of other “cooler” techniques that get a lot of attention. Q: Anything noteworthy for the future of the Elemental Analysis Lab? Goals, new equipment, new research, etc. A: I have a goal of moving toward ISO 17025 compliance, at least, so that we’re meeting all the data quality expectations that industry customers have now or will have in the not-too-distant future. We are moving more toward automation as well—the way things have been done can be labor-intensive and require many manual steps. I see opportunities to increase automation, which would allow us greater throughput. Finally, our educational role. One of the reasons I came here was to teach students more broadly about metrology. I want to teach them to be better consumers of analytical chemistry— understand trade-offs, data quality, etc. I think there’s a space here at the university for that, so as they go off and graduate and find jobs, they’ll make better use of the analytical tools that they will need in their careers. 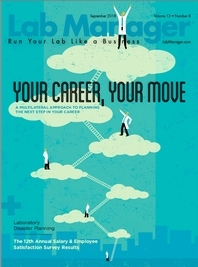 When you’re a lab manager, it can be challenging to find the time to work on your own career development.